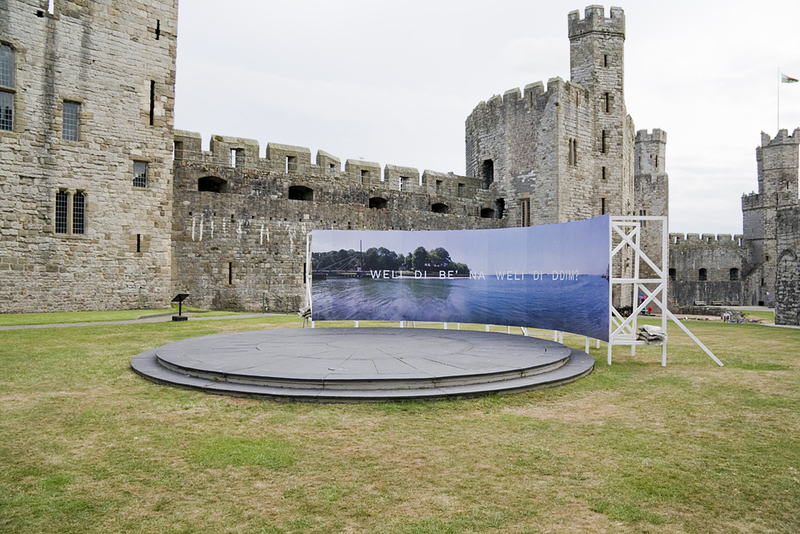 Installation using timber, board and poster. 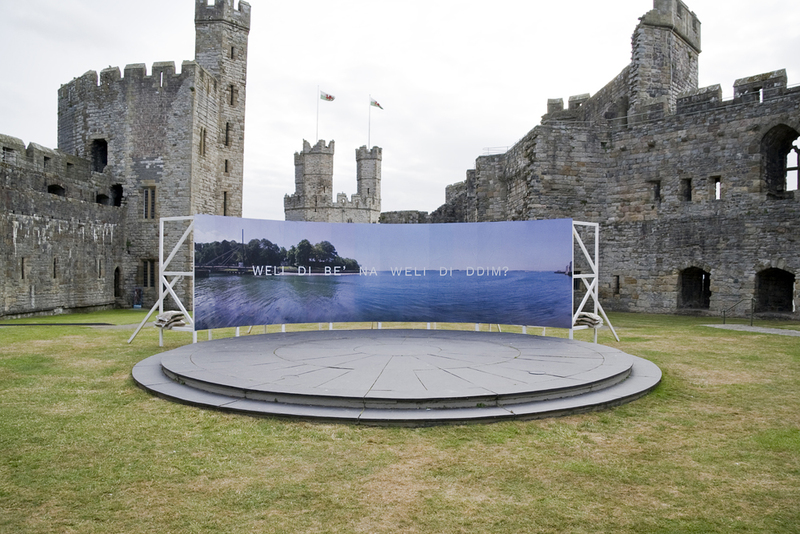 Commissioned by STAMP for Castell03: I'r Môr / To The Sea, Caernarfon. 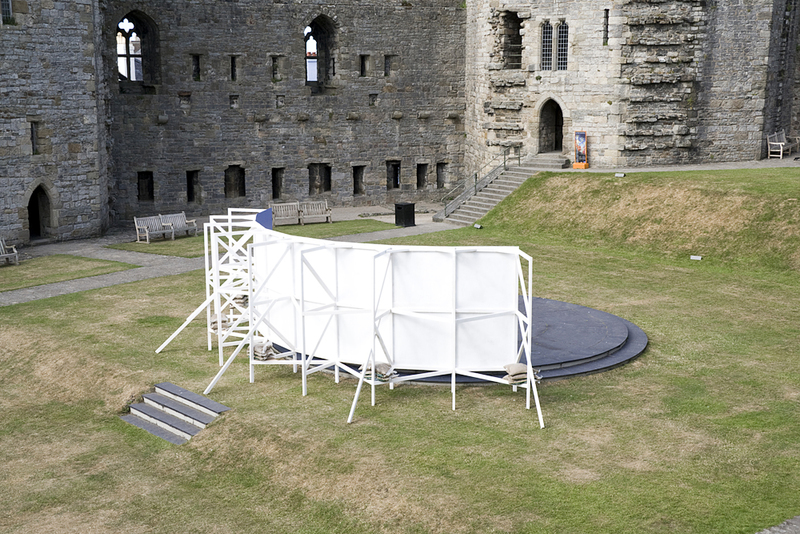 Collaboration with poet Rhys Iorwerth. 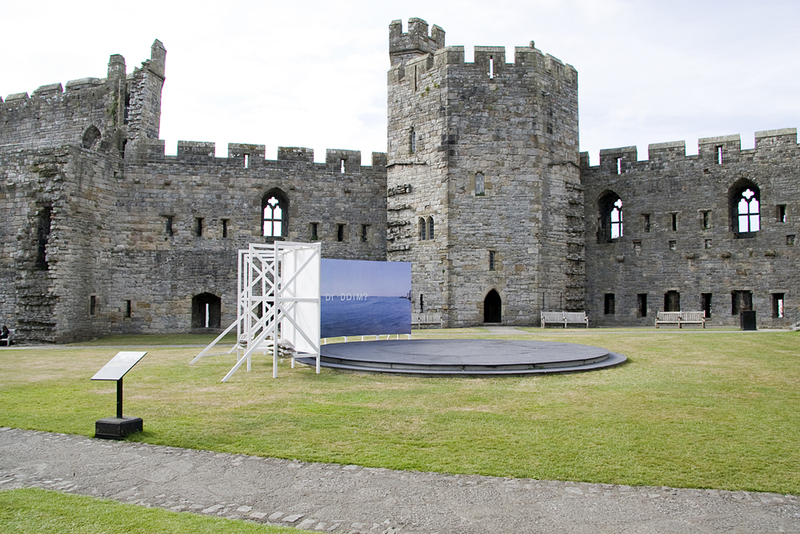 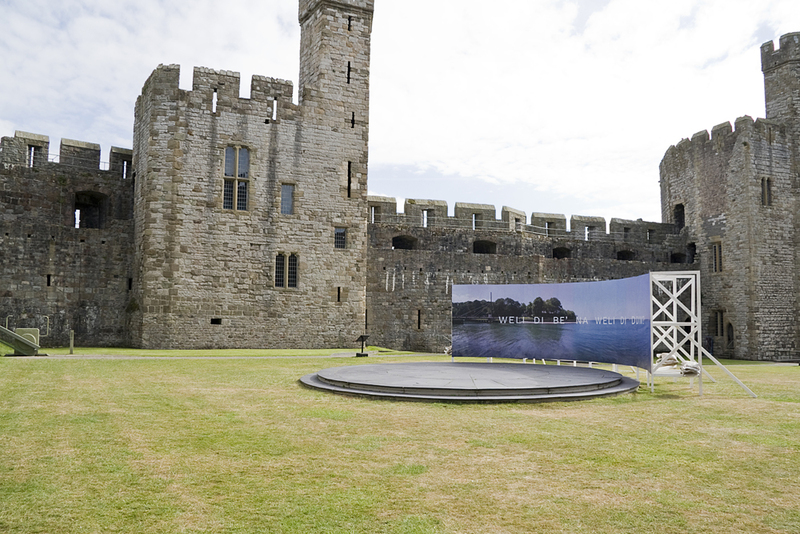 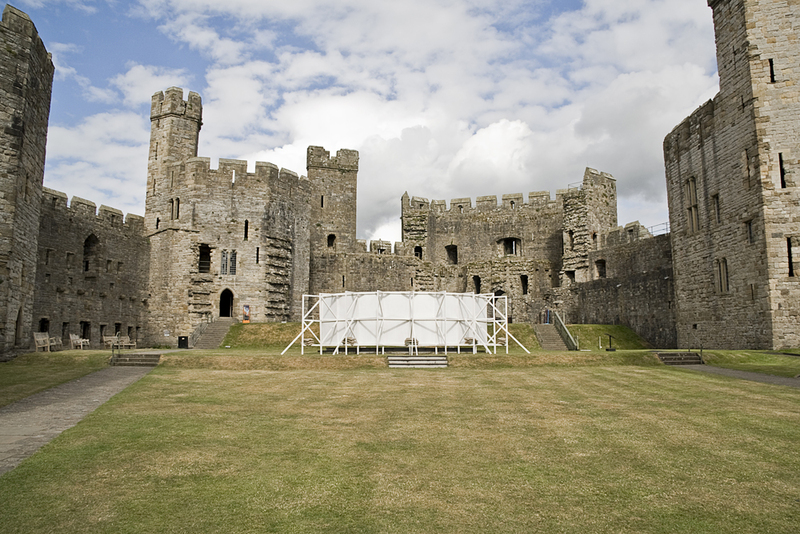 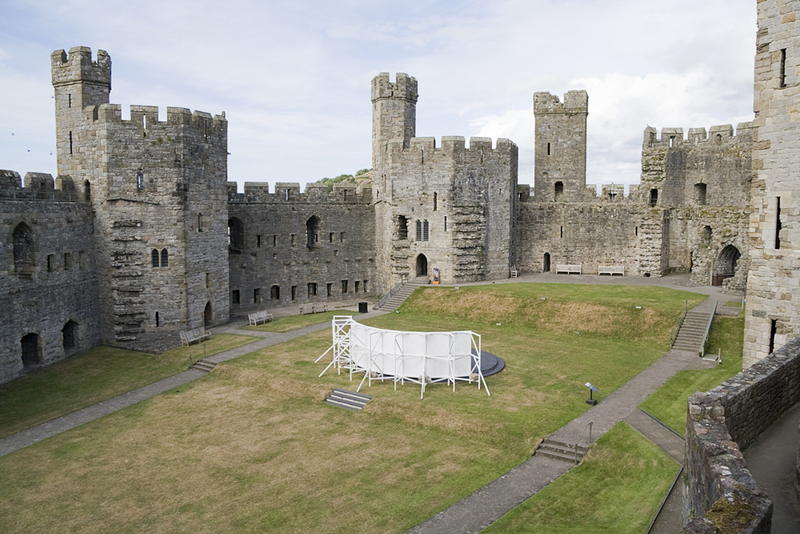 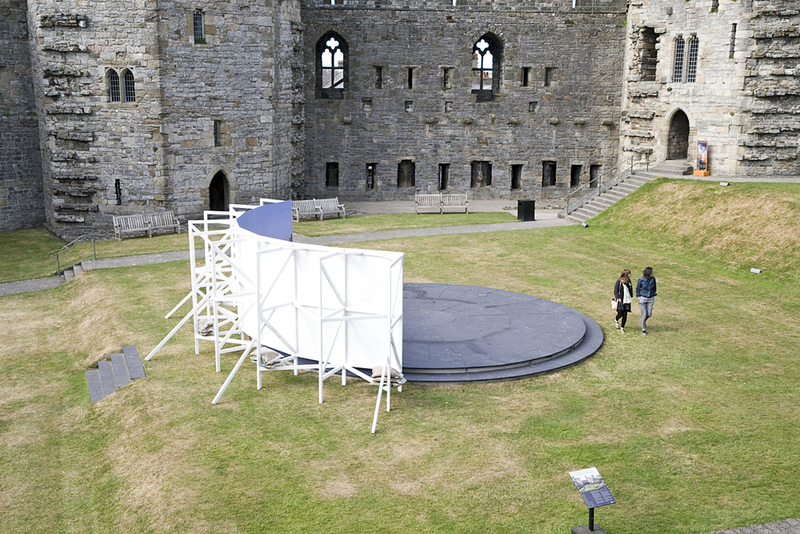 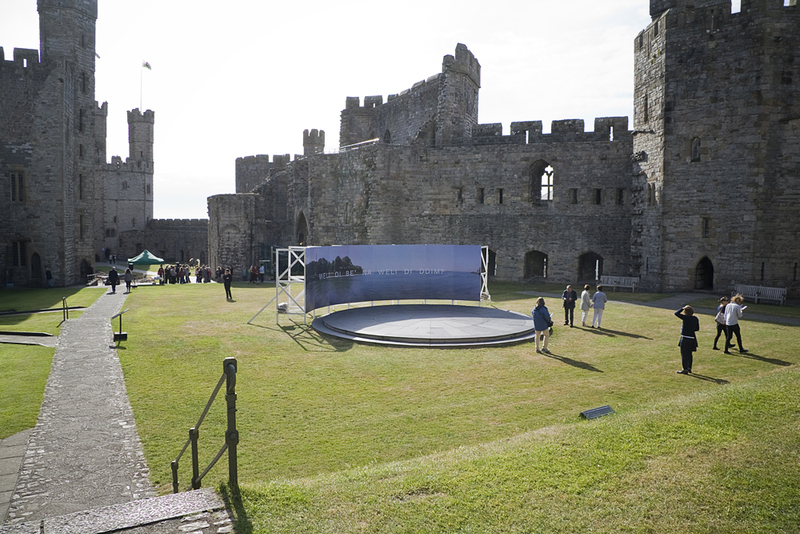 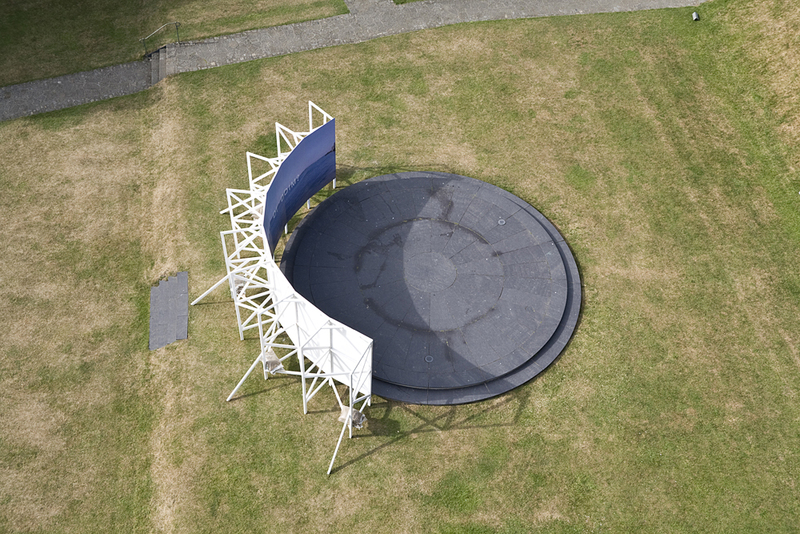 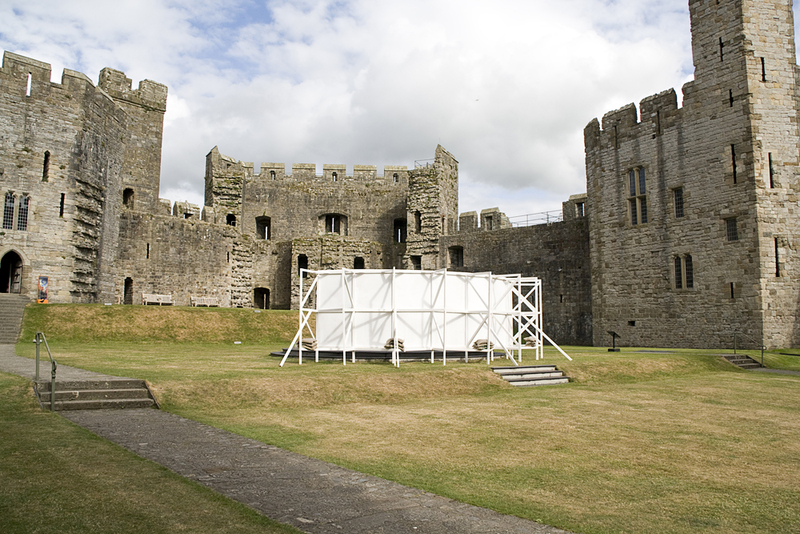 The work invites the viewer to consider another perspective on the history of Caernarfon Castle and the slate dais installed for the investiture of Prince Charles as the Prince of Wales in 1969. 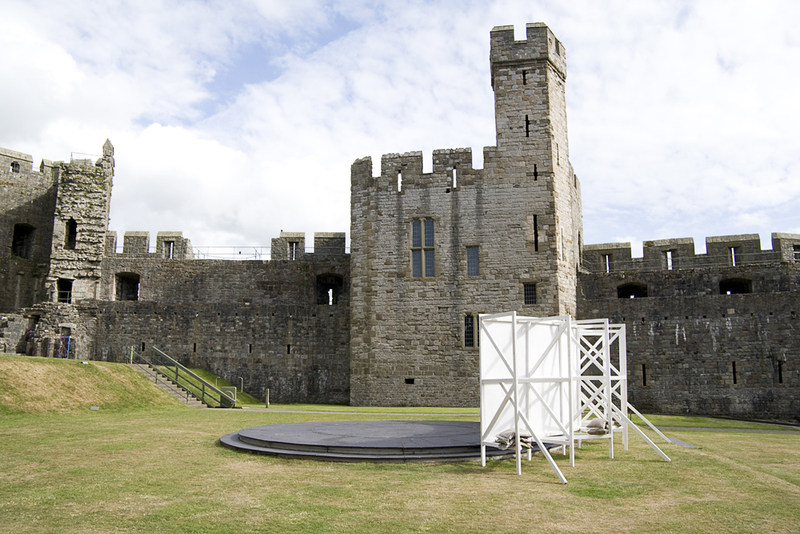 The title comes from the opening line of Gerallt Lloyd Owen's poem 'Fy Ngwlad' (My Country) which despairs of the then forthcoming investiture and is also critical of Welsh passivity and acceptance. 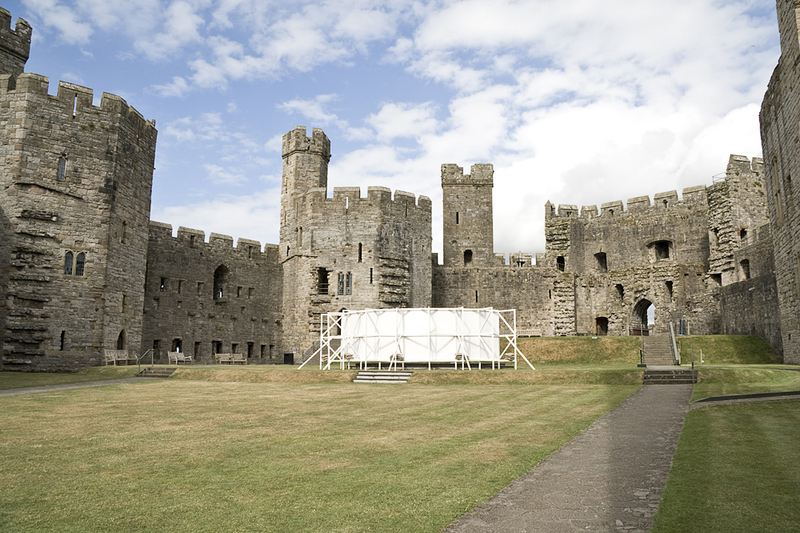 The line 'Wylit, wylit Llywelyn' translates as 'Llywelyn you would weep, you would weep' and refers to Llywelyn ap Gruffudd, the last indigenous Prince of Wales, killed by Edward I in 1282. 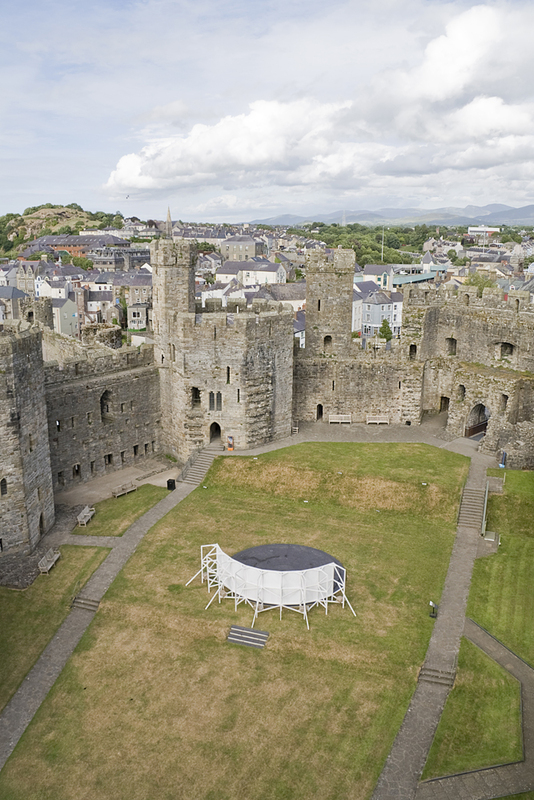 Special thanks to Llyr Erddyn Davies, Ynyr Pritchard, Alex, John and everyone at Caernarfon Castle.